Cruise Along Ancient Trading Routes of Ancient Civilizations in Turkey. Charter today cruising along what were, in the Ancient World: water highways and trading routes. Cities sprang up in protected harbors which were home to civilization after civilization through the centuries, and which are still today, protected anchorages and harbors to visit on a crewed charter yacht. An Ancient Trading Route ran from Istanbul down the western coast of Turkey and the Greek Dodecanese Islands, along the southern coast of Turkey past Cyprus. Similarly, an Ancient Trading Route ran from Venice, along Croatia, through Montenegro and the Ionian Islands of Greece. It is those same harbors and ports today, and more, which on a crewed yacht charter visit offer a portal into Ancient History. A cruise along the western and southern coast of Turkey and the Greek Dodecanese Islands can be a charter hop from ancient site to ancient site. And a yacht charter experience visiting these ancient sites, can be rounded off with a visit to the Bodrum Underwater Archeology Museum in the crusader castle guarding the harbor in Bodrum; a great museum filled with exhibits of artifacts culled from ancient shipwrecks along this trading route. 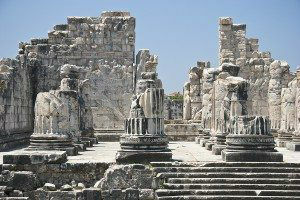 Dock in Kusadasi to visit Ephesus by van, then cruise to Didem to visit Priene, Didyma, and Miletus by van. Stop in Bodrum to visit the Bodrum Underwater Archeology Museum and to wander the ancient theatre in the hills behind. Knidos lies waiting to be explored at the tip of the Datca Peninsula, where your charter yacht can sail into and anchor right in the ancient harbor. Take a trip up the Dalyan River in flat bottomed river boats from the anchorage in Ekincik to see ruins of the ancient city of Caunos, and Lycian Temple Front Cliffside Tombs. 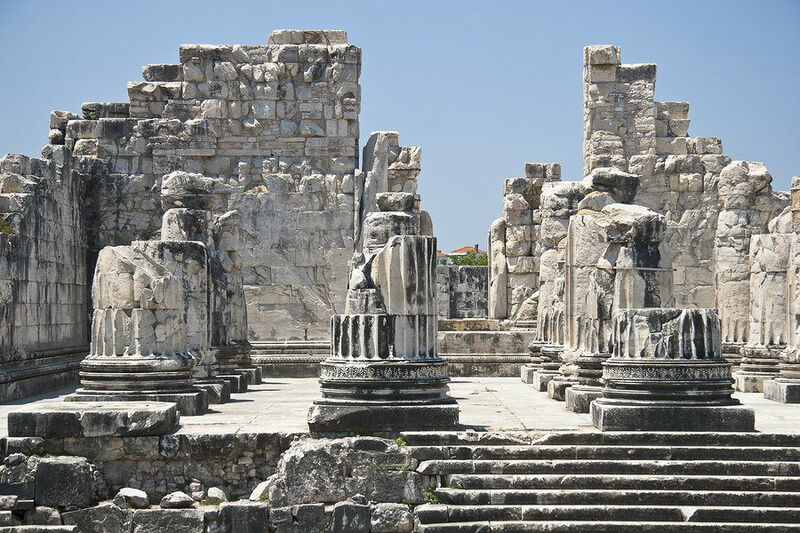 Further east along the southern coast of Turkey, visit Xanthos, Patara and Letoon by van, and then spend several days exploring by yacht around Kekova Island. In the Kekova area, are several ancient sites, including ruins just under the water surface to be snorkeled over, Lycian Sarcophagi, and a theatre carved into the side of a small rocky islet. And be sure to visit the church of St. Nicholas in Myra, along with the fantastic display of Lycian Temple Front Cliffside Tombs set next to the ruins of a Roman theatre in Demre. Of course, one cannot miss visiting the famous Acropolis when starting a charter in Athens. 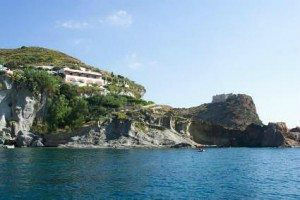 While on charter, visit temple ruins in Sounion, Aegina, and Corfu. Corfu is the gateway to Butrint, across the water along the coast in Albania, and well worth the quick hop over. Santorini boasts an ancient Hellenic site on a mountain top, along with the excavation at Akrotiri which some believe could be Minoan, while others speculate that this site could be the lost city of Atlantis. 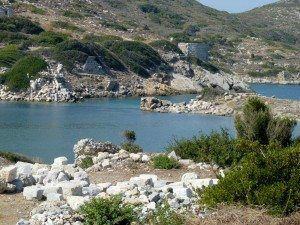 The island of Kos has a number of ancient ruins near the Crusader Castle. Caves on several islands were said to be home to Ulysses, and on Patmos, a cave was said to be home to the Apostle John, when writing the Book of Revelations. 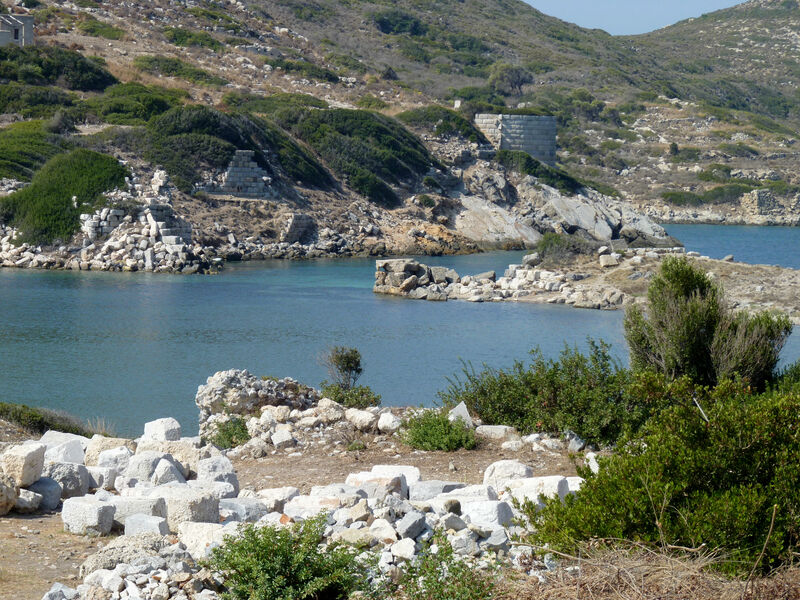 Ancient ruins can be seen on Samos, home to Pythagoras. And next to Mykonos, is the sacred island of Delos, which is a monument of ancient ruins along with a museum. Civilizations in the Ancient World were quite fond of Croatia, particularly the Romans, who often “summered” just as we do today on various islands and along the coastline of Croatia. Certainly, the most outstanding Roman ruin remaining in Croatia, is the ruin of Diocletian’s Palace in Split, which was built as a retirement palace for the Emperor Diocletain. 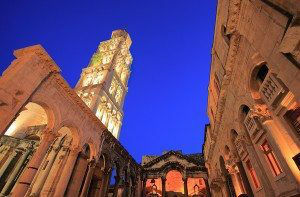 These ruins sit in the middle of Split, around which the rest of the town over the centuries has clustered. 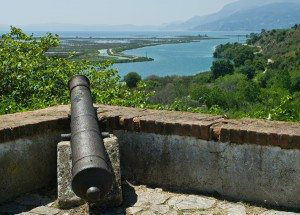 Nearby Split are the ancient ruins of the Roman city of Saloma. In Pula is are the terrific remains of a large Roman Amphitheatre. The Stari Grad Plain on the island of Hvar still remains, and is an example of farming techniques from the Hellenic time period. Home of the capital city of the Roman Empire, Italy offers many ancient sites to be visited on a crewed yacht charter, most built during the Roman time period; and scattered along the coastline and throughout the islands of Italy. 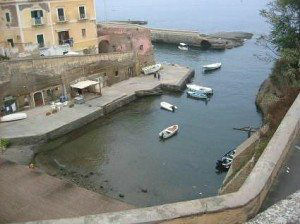 Dock in Ostia, Italy, once the ancient harbor of Rome and visit the ruins of the once ancient harbor close by. Then visit Rome by van taking the ancient road from the harbor into the city center. The Romans both enjoyed the Pontine Islands for relaxation and to exile embarrassing family members. Emperor Augustus exiled his daughter Julia to Ventotene, where the ruins of the Villa Julia can still be seen, along with the remains of the Roman harbor in the main port. Later Nero exiled his wife Octavia to Ventotene as well. When visiting Ponza, be sure to walk through the Roman tunnel cut into the limestone connecting the harbor side of the island to Luna Bay. And don’t miss Pompeii and Herculaneum, which are terrific sites to visit by van when docked in Sorrento. To see many ancient sites, just like in ancient times, traveling by water is often the very best way to explore the coastlines and islands visiting the various ancient sites still remaining to learn “hands on” about the ancient world. A crewed yacht charter is easily organized through Turkey, Greece, Croatia and Italy focused on the footsteps and marks left by ancient civilizations many centuries ago.